WORM Cultfilm is proud to present the winner of the 2018 BUT award! The best BUT film! Not the worst, nor the best, but the most BUT film! After losing his parents, a priest travels to China, where he inherits a mysterious ability that allows him to turn into a dinosaur. Once a Velociraptor he teams up with a prostitute with a heart of gold to fight crime and ninjas together. It’s your average love story. Low-budget, funny and wild ode to all types of exploitation movies from the seventies. To celebrate and share the Winner Mentality we decided to invite Bredan Steere, the director of this film, to come from LA (yes, LA!) 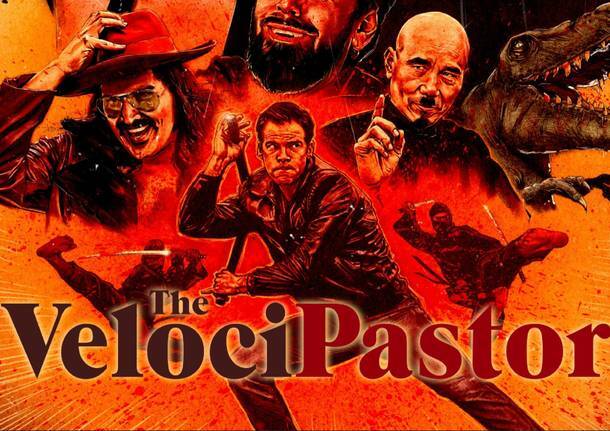 to Rotterdam and to Antwerp’s Filmhuis Klappei, where we will screen the VelociPastor on June 7!